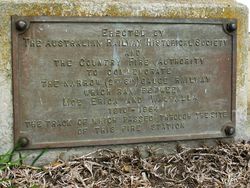 A plaque commemorates the narrow gauge railway which ran between Moe and Walhalla. 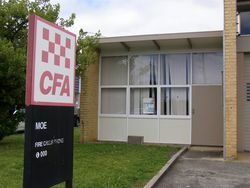 The track passed through the site of the fire station. 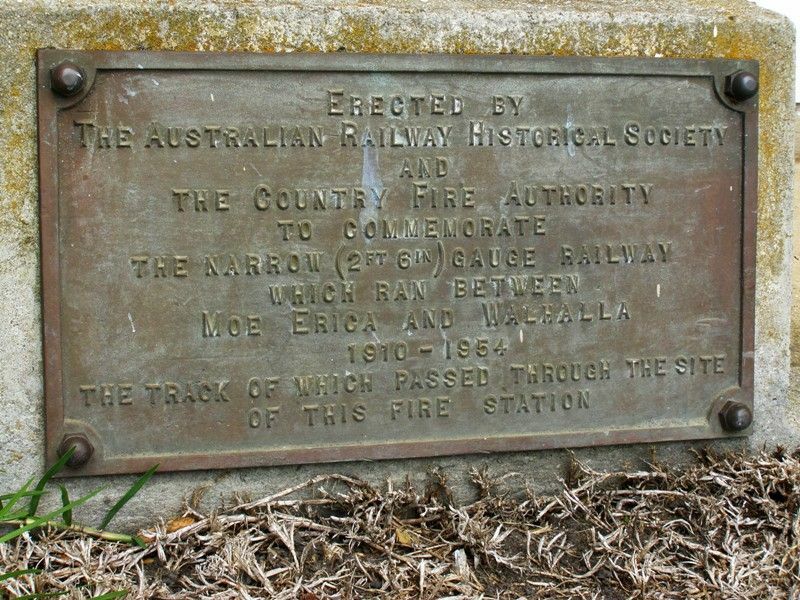 The Walhalla railway line was a 2 ft 6 in (762 mm) narrow gauge railway located in Gippsland, Victoria, Australia. The line ran from Moe to the former gold-mining town and popular tourist destination of Walhalla. Construction began in 1904. The line closed in sections from 1944 to 1954.